Are you gearing up for a licensing or bar exam, or wondering what to bring to a job interview? 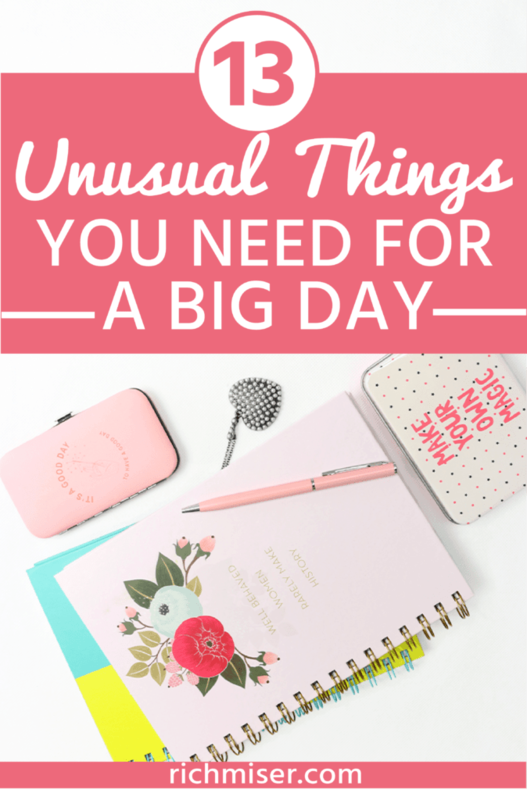 That kind of “big day” requires not only prepping for the event itself, but also planning for contingencies that life might throw at you at the last moment. That’s why no matter how much you prep and study the subject, you need to have a bag with “emergency supplies” tailored to the specific event. Ideally, you’ll keep the bag in your car or nearby hotel room, although the smaller items are meant to be kept with you at all times. Otherwise, it defeats the purpose. You already have enough to worry about with all the challenges that you’ll certainly encounter that day. So, why take an extra risk? Better to protect yourself and your preparation for the big day, and be ready for those last-minute mishaps. Here’s how! It’s not worth it to risk months of hard work over a ruined outfit. There are numerous horror stories of people who get so nervous before a big exam that they throw up. The last thing you want is to walk into a day-long test smelling like vomit. Uuugh! There are also fashion emergencies like a stained tie or a ripped pencil skirt as you get out of the car. (This happened to me before a big trial, though luckily I had an extra suit). LOL. There’s also the problem of dresses or skirts that betray you when you sit down because, if you gain a few pounds, they tend to look shorter and show more leg than you might want to. That’s when a trusty black shawl or scarf comes in handy, since you can elegantly fold it on your lap and regain your peace of mind. If you rely on glasses or contact lenses to get stuff accomplished, then you should be extra careful and bring an extra pair for the big day. I’d say that for a test this is quite obvious, but maybe not so much when you’re thinking about what to bring to a job interview. Well, better safe than sorry, unless you want to be squinting your way to make eye contact as you are being interviewed! Protein bars are a must-have item in your emergency supply bag because you don’t know when you’re going to be stuck somewhere longer than expected. Also, people react differently when they get nervous and might get hungrier – or maybe it’s anxiety-eating? Either way, stay on the safe side and don’t starve yourself by stashing one or two protein bars in your bag. Why caffeine pills and not coffee? Simple. Because coffee makes you pee, to say the least. It can also interact badly with whatever breakfast you had. Even if you always eat the same food, sometimes the simplest thing might betray you and those stomach butterflies might start acting up as soon as you’re done sipping that java. If you absolutely need coffee, limit your intake to just one cup. I personally carry a water bottle everywhere I go. Not only is this a good practice because you remember to drink water throughout the day, but also you can make proper pauses during a job interview without an awkward silence. Think of it as the equivalent of comic relief or a pause in time to give you 3 extra seconds to think before you talk. This short, informal break during the conversation while being interviewed can help you look more relatable (because everybody drinks water, obviously), less stuffy, and more confident. An extra precaution, because spills and accidents happen or you might get sweaty hands. Some people start sweating; some people (men and women) have all sorts of accidents! You know your body better than anyone, so if this is a concern, pack extra undies. Because there’s nothing more uncomfortable than having something in your eye; it could literally take away your focus and ruin a job interview! Also, when you’ve been reading for a long time, your eyes get dry. Taking a test already entails tough work, so use all the help that you can get! This one is self-explanatory. You need to stay as focused as possible, and being in pain hinders your ability to focus. Also, if you’re in pain you’re less likely to be as charming as you normally would be in an interview. So, err on the safe side and grab some painkillers in case you need them. Almost every bar exam review course will tell you that you’ll want to wear something comfortable for the big day. The last thing you need is to be shivering, since you have so many hard questions to answer. But sometimes people get nervous and will start sweating, or their metabolism might go into overdrive and they start sweating because of that. I’ve had both happen to me, so I’m either bundling up by doubling on an extra sweater, or I’m liberating myself from all the extra layers as I continue to type my answers before the clock strikes. With GPS and apps that provide us with directions to go anywhere, we have come to rely on our smartphones way too much. Unless you’re familiar with the area, make sure you have turn-by-turn written directions in case your trusty app or GPS fail. Also, have a plan about what to do once you get there. Is there a place to park or valet? Is it cash only? Do you need to walk far? (In which case it might make sense to bring an umbrella, extra shoes, or maybe just Uber). Knowing these things ahead of time will give you the upper hand over those who are clueless. So do your research. 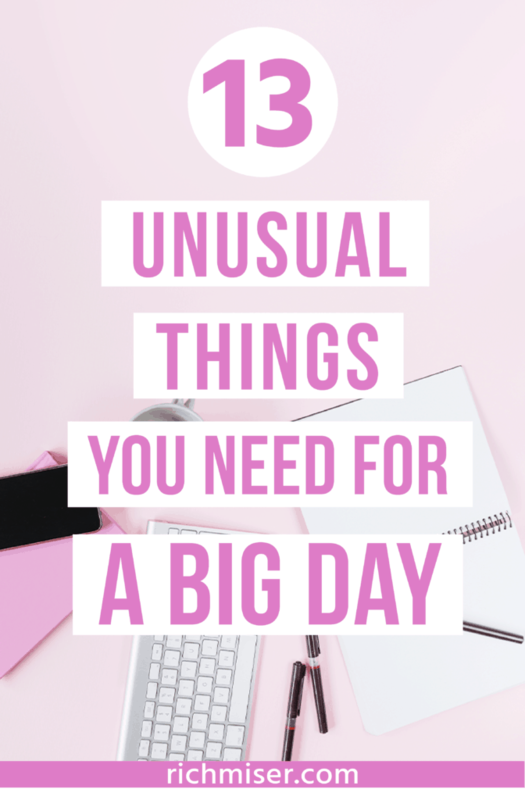 Since planning for a big day is hard in and of itself, make sure you take all the appropriate steps to account for those last-minute curveballs that life throws at you. After all, it’s only fair to yourself, after putting in all that hard work and effort. Whether it is a licensing or bar exam where you study for months or a job interview that’ll allow you to escape your current job (or a job you hate), having these emergency supplies will give you peace of mind and a better chance of success if Murphy’s Law strikes. So train hard, plan ahead, and break a leg! Do you pack a bag with emergency supplies for this kind of “big day”? Did you have a bad experience and wished you did? Nothing like having an important item like extra clothes when your interviewing that day but accidentally spill coffee all over your outfit. This list is spot on! I could have used this when I was sitting for the engineering exam. Painkillers were definitely something I was missing and I needed extra energy drinks. Lol! Except for pen, paper and directions, I would just show up! Good point on the extra cloth, accidents do happen. 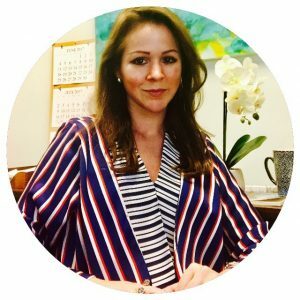 I have a friend that has a job interview this week and she is a little nervous so this article came at a great time. Protein bars and caffeine pills are extremely important. I’ve been in interviews and felt drained from the night before. It’s always good to do all you can to be alert.